An older style detached home circa 1931 offered for sale situated in a sought after location and with no onward chain. 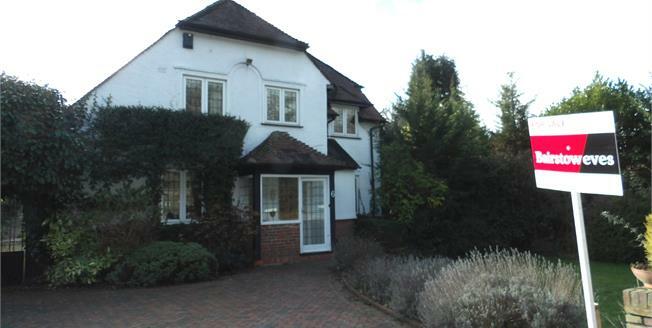 The property is approached via its own driveway providing ample parking leading to a single garage. To rear is a good sized garden on a wide plot being mainly laid to lawn with flower and shrub borders and secluded to the rear. The property accommodation comprises of a downstairs cloakroom with a good sized lounge, sitting room, dining room and a kitchen with utility area and three bedrooms and two bathrooms upstairs.